B2B marketing organizations benefit in numerous ways from creating and using a marketing dashboard. A well-constructed dashboard with up to date data enables them to measure marketing’s impact on the business and communicate that impact to executives and the business at large. During the Planning phase, you and your team will determine key factors to guide the discovery and design phases. Data Discovery involves evaluating the data on your Metric Matrix against your business requirements and identifying any gaps. Once the Data Discovery phase is complete, Design begins. During the Design phase, you’ll determine how to organize the KPIs you’ve planned and the data you’ve discovered, visually, to tell your story. In this stage, you’ll dig deeper and hash out what your viewers will actually see on the dashboard. Once you’ve chosen the platform, it’s time to convert the dashboard requirements and wireframe model into an actual dashboard. 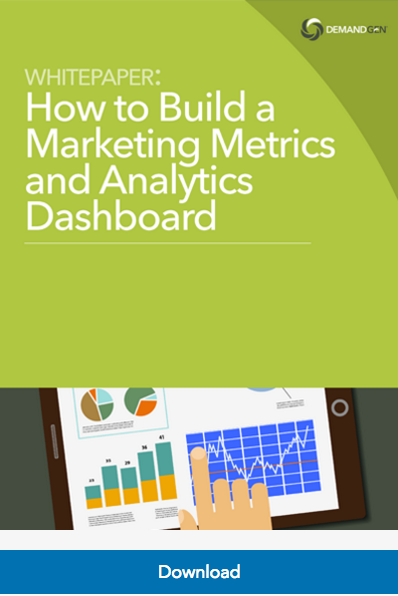 Download our whitepaper to learn more about the phases of a successful marketing dashboard! Your article are very great. We share same goal making business management more easier.